Sakai of Hiroshima will hold their Dealers Invitational Auction on February 21st 2013. This auction offers koi that that can contend for top honors at the upcoming All Japan Young Koi Show in March. 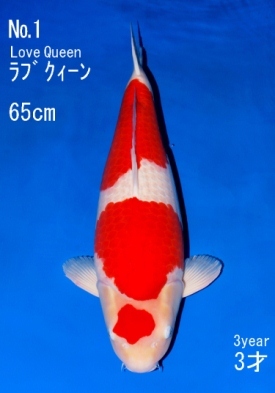 Click on this link www.sakai-ff.com to see the koi that will be in the auction. Koi purchased in this auction can be entered in the All Japan Young Koi Show. Please note: There will be no Jumbo Tosai offered in this auction. A separate auction for Jumbo Tosai is scheduled to be held in April. Call us toll free at 1-800-827-5819 for information on how to place your bid to purchase one of these World Class Koi. This entry was posted in Koi Event, Sakai Fish Farm on February 18, 2013 by koiadmin.